Halo. Such a simple title that hides a deceptively massive sci-fi universe. The Halo franchise began in 2001 with the release of Halo: Combat Evolved which led to our first first glimpse of the iconic Halo 4 Master Chief. Fast forward to 2017, the Halo series has played host to nine mainstream games, encompassing the Original Trilogy (Combat Evolved, 2, 3), Reclaimer Trilogy (4,5) the Halo Wars (1, 2), ODST and Reach. With such a legendary franchise you just know there are numerous toys and figurines that have garnered a large following, and who could blame them – Halo action figures are awesome! Each toy company adds their own artistic flair to each of their figurines, so, and I know this is a cliche, there is something for everyone. Don’t worry we aren’t actually going to break them. 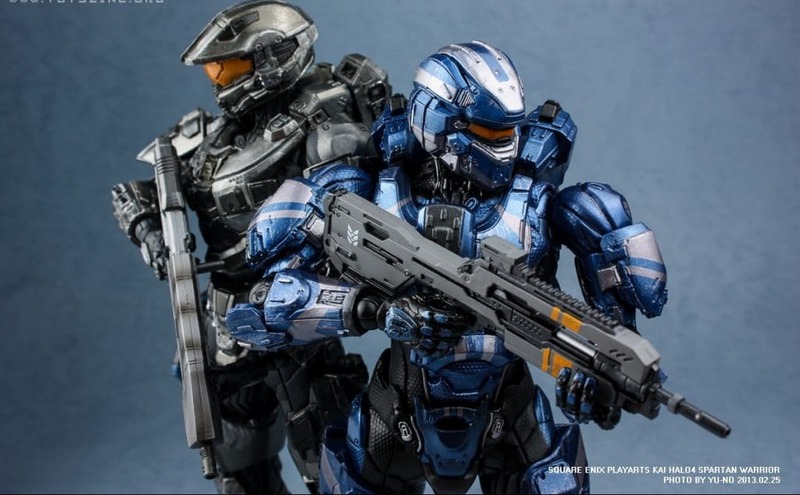 Take a look at the distinguishing features of the individual brands and what they bring to the wonderful universe of Halo figurines. 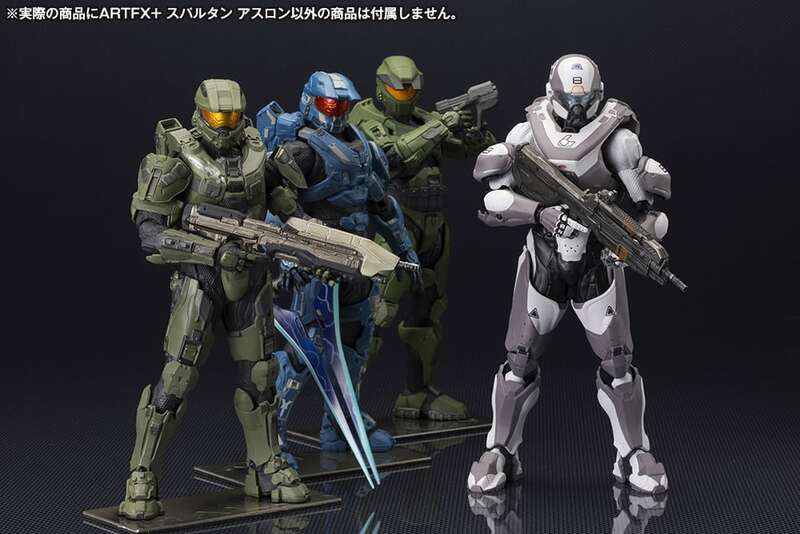 McFarlane Toys began making Halo figurines in March 2008 proceeding the release of Halo 3. After the release of those Halo 3 action figures, McFarlane was given the master contract to produce figures from the game, in order to keep up with demand for the massive franchise. McFarlane also produced the statue of Noble Team that came with the Legendary Edition of Halo Reach. Highly detailed but fragile and prone to breaking. Inaccuracies in marketing. Unfortunately the second set of Halo 5 action figures also marked the end of the contract between McFarlane and 343 Industries. That has since passed into the hands of Mattel. The action figures from McFarlane are incredibly detailed and well painted although they are known for being a little fragile and prone to breakages. For that reason McFarlane Halo elite action figures would be better off as display pieces, as opposed to a rough and tumble kind of play set. Older fans of the Halo series would definitely appreciate the level of detail and workmanship. That isn’t to say that you cannot play with them, as their limited articulation and removable armour pieces provides a certain entertainment value. 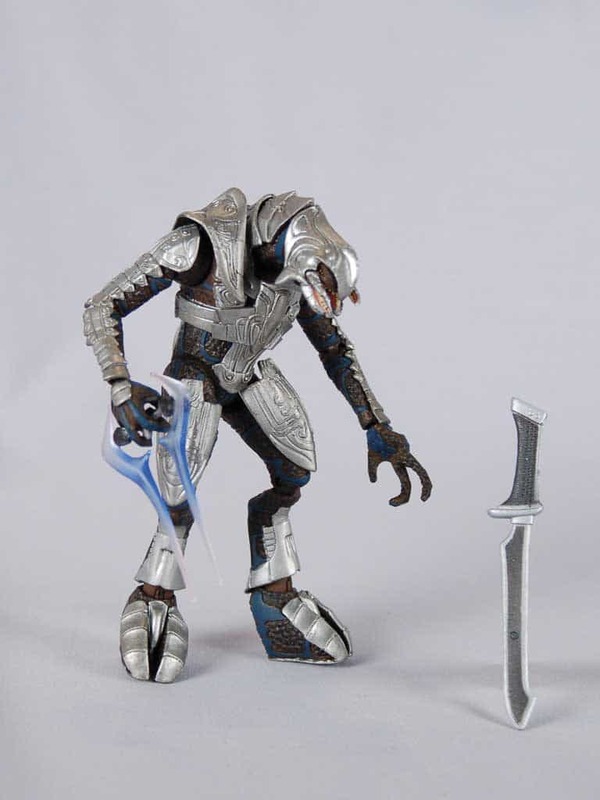 One of my favourites would have to be the statue of Arbiter Thel Vadam made for the 10th Anniversary of Halo. While it is an older figure and doesn’t have the vibrancy or sheer detail of the newer models, it definitely has its charm and an impressive amount of detail on the silver armour pieces. Equipped with a Covenant Energy Sword and a Plasma Grenade, the Arbiter figure is ready for any combat situation…much like the real Arbiter. 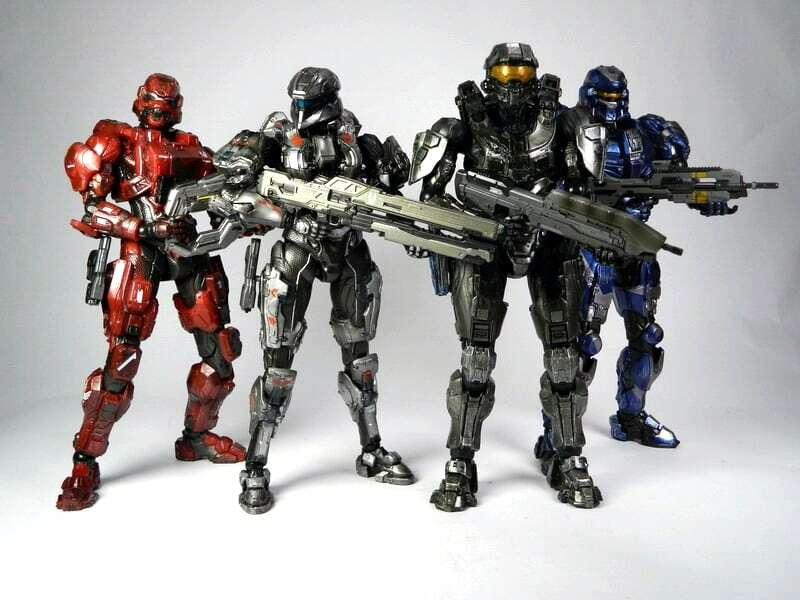 Square Enix began producing Halo figures in 2010 beginning with my favourite team ever – Noble Team from Halo Reach. These figures were known for being highly articulated and incredibly detailed. This is no truer than in the Play Arts Kai series of Halo figures. 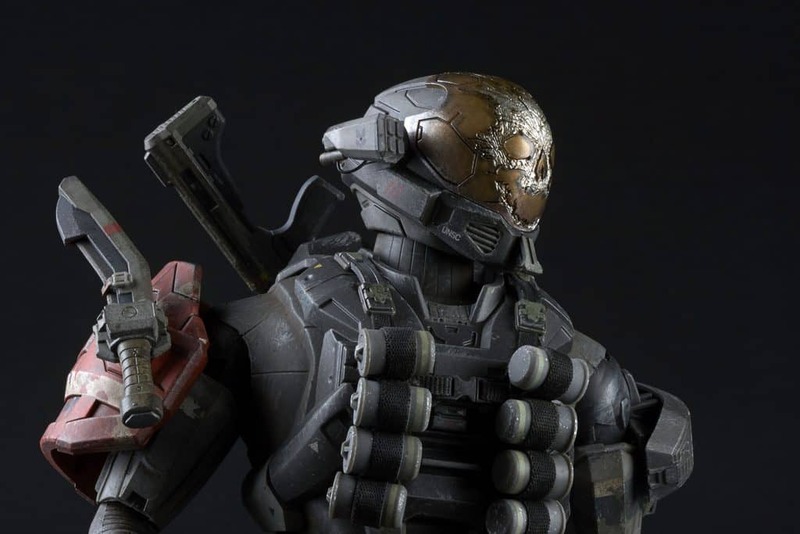 Currently comprising of Halo Master Chief action figure and Spartan Locke from Halo 5, the Play Arts Kai present an impressive and startling level of detail and gorgeous colour that does not affect the motion of the figures. Very high quality make, with the basic bodysuit appearing to be constructed out of silicone or other type of rubber. The slide on/clip on pieces are of good make and can be swapped out for alternative pieces of armor. They also come with a display base which allows them to be displayed (obviously) but due to the high quality of the make and their impressive articulation they can be marketed towards younger Halo fans as well. However, due to the detail and articulation the price is also a lot higher, resting around $150 from the Square Enix website. the presence of stylised dirt on the back of his boot, it really brings the figure to a higher level of reality. The ARTFX series from Kotobukiya really lives up to its name. These figures are highly detailed and exquisitely painted capturing the fierce expressions (I think) of some of Halo’s most prominent heroes. These figures are not one solid piece, instead having a series of slide/snap on armour pieces that cover a basic body shape, which can be purchased separately if necessary. 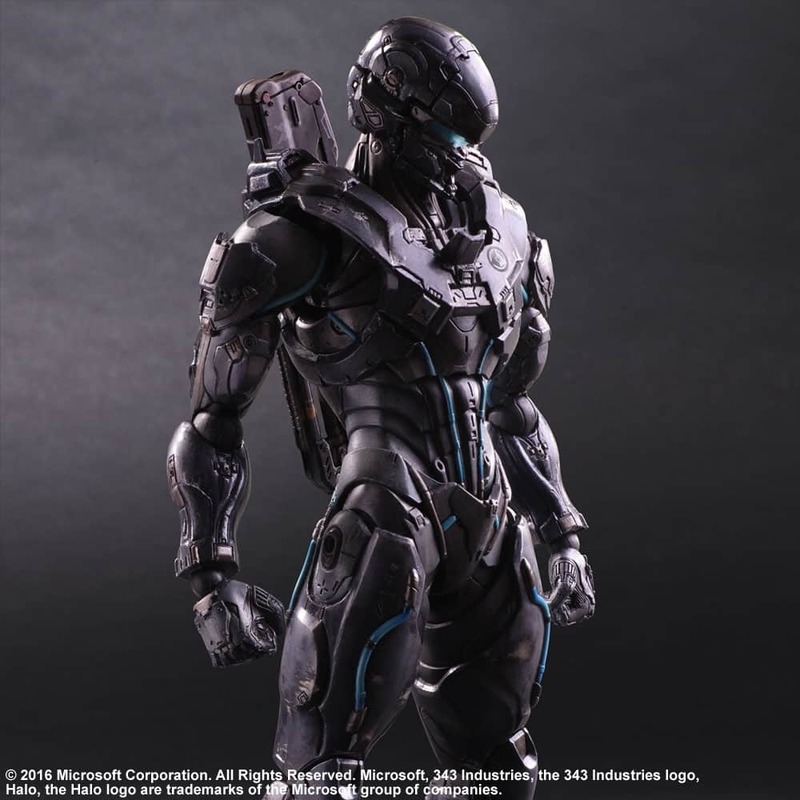 These snap on pieces are quite awesome because not only do they add to the stability and structure of the piece itself, they can also be interchanged with other ARTFX statues to form a Halo hybrid Spartan to inject your own personality into the figure. The strong design of this line and the ability to customise with other ARTFX sets makes it a must have for collectors and displayers. The details just pop right out at you in a spectacular fashion. There is really only one notable ARTFX figure from Kotobukiya at the moment, which is the man, the mythm the lucky legend himself – Master Chief. This ARTFX figure is highly detailed and has a very solid sculpt which gives it a lot of strength and rigidity making it last. 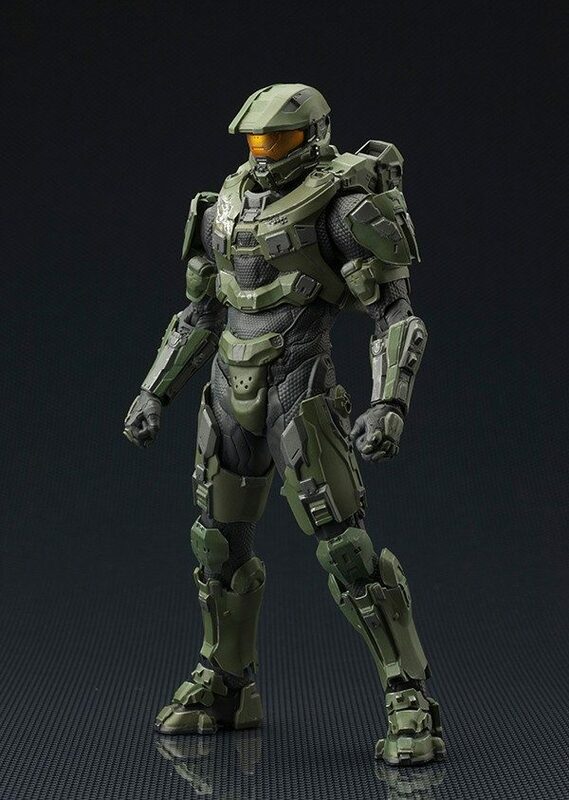 The figure has limited articulation for those who want to re-enact the epic Halo adventures of the Chief and comes standard with his trusty Assault Rifle. 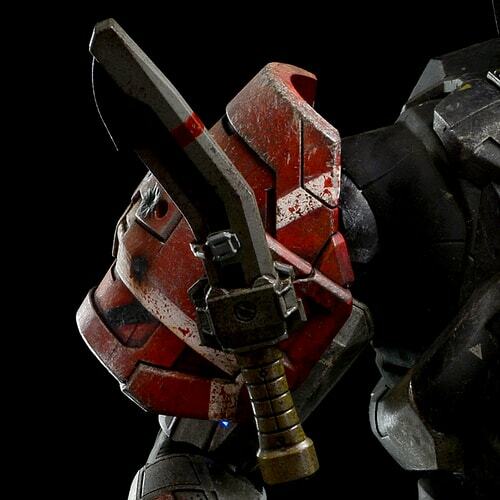 The Halo figures established by ThreeA are similar in style and design to those developed by Square Enix, except ThreeA produces a higher quality of detail and makes them a little taller. This of course comes with a higher price point. ThreeA kicked off their Halo line with the release of Noble One, Carter-A259 in 2013. The rubberized suit makes it quite high quality that combined with its high detail makes the figures stand out. The articulated joints are of strong make allowing you to pose them as often as you like. If you are wanting an admittedly expensive but highly detailed display piece, then look no further than A239 Emile Spartan-III. This figure will set you back a fair bit, approximately $200 but to a collector it is definitely worth it. ThreeA have intricately sculpted every bit of detail on this piece and have done justice to the skull clad Spartan of Noble Team. 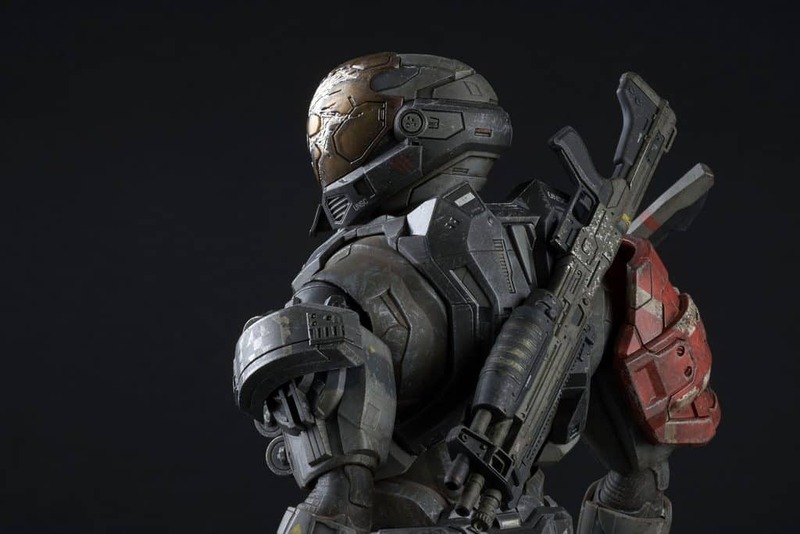 Standing at 13.5 inches Emile comes with a rubberized suit covered with outer armor attachments and full articulation. 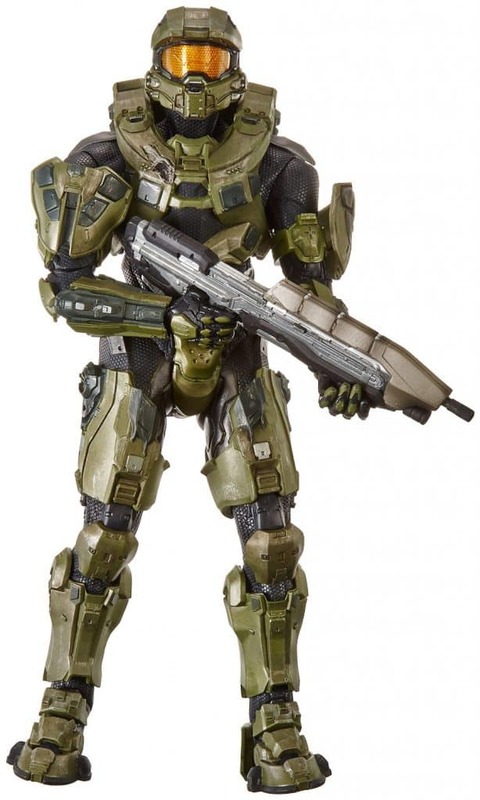 Neca produced a solitary Halo figure, being Master Chief as he appeared in Halo 4. Sadly Neca’s website classes this colossal 18” statue as discontinued, but there is hope it may pop up from independent sellers. Incredibly high quality. The points of articulation have been expertly hidden for the most part, allowing the figure to look even more authentic. Combination of hard and soft plastics. This figure was created from the original digital model that was sent to Neca from Microsoft and comes standard with 30 points of articulation and game accurate accessories. 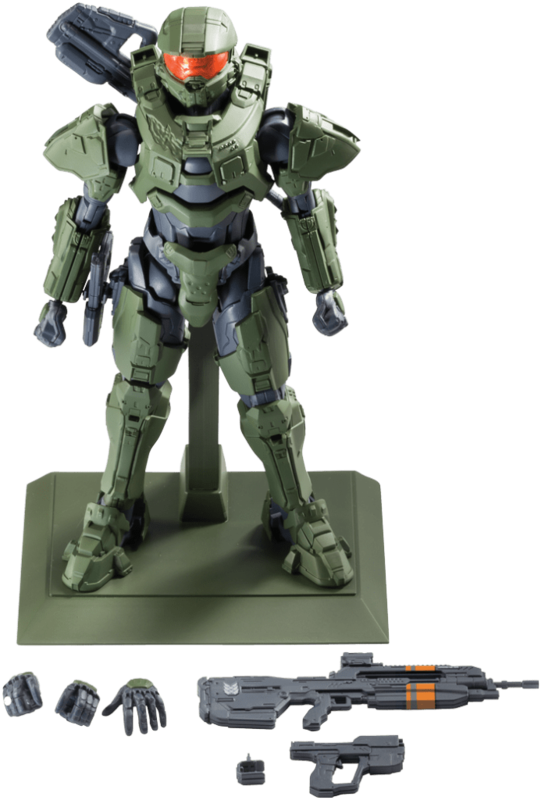 This highly detailed Master Chief like many of the figures from other companies comes with the M6H Magnum and MA5D Assault Rifle. This is a true collectors item. You may be familiar with Mattel and its range of MegaBlox and MegaConstrux that have featured the designs of the Halo universe. 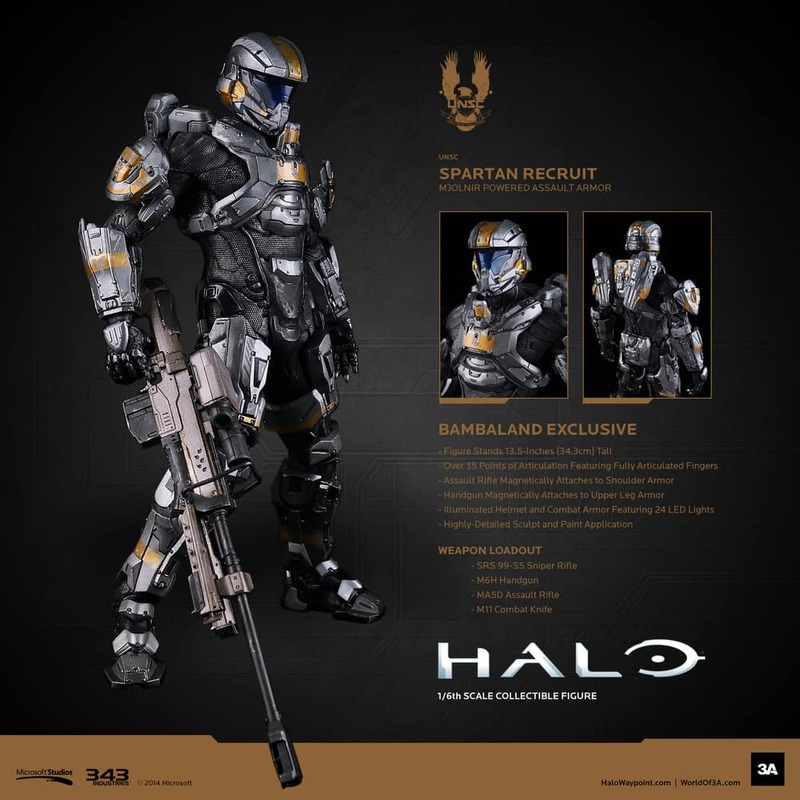 Well in 2016 Mattel got the master licence from 343 Industries which allowed them to expand into developing a range of 6” and 12” halo figurines. These figures are of incredibly sturdy make and despite appearing to lack some vibrancy in colour, they still look amazing. Great detail and high articulation for a cheap price. Appears to need a little more paint on the bodies of the figures to make it appear higher quality. Still a series of quality figures. 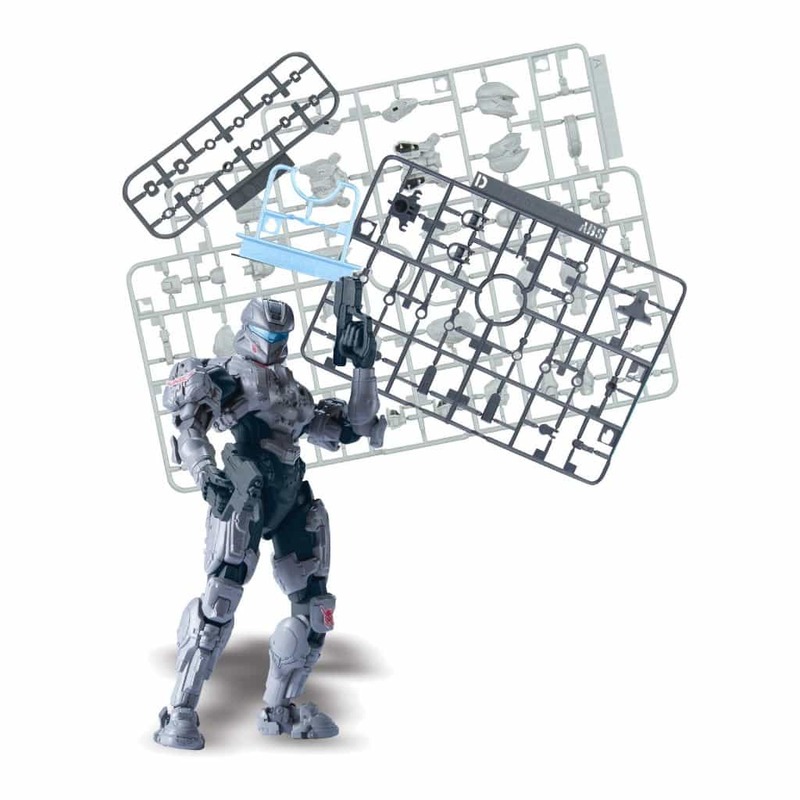 The Mattel Halo figurines, like Spartan Linda, are durable and easy to put together and use. 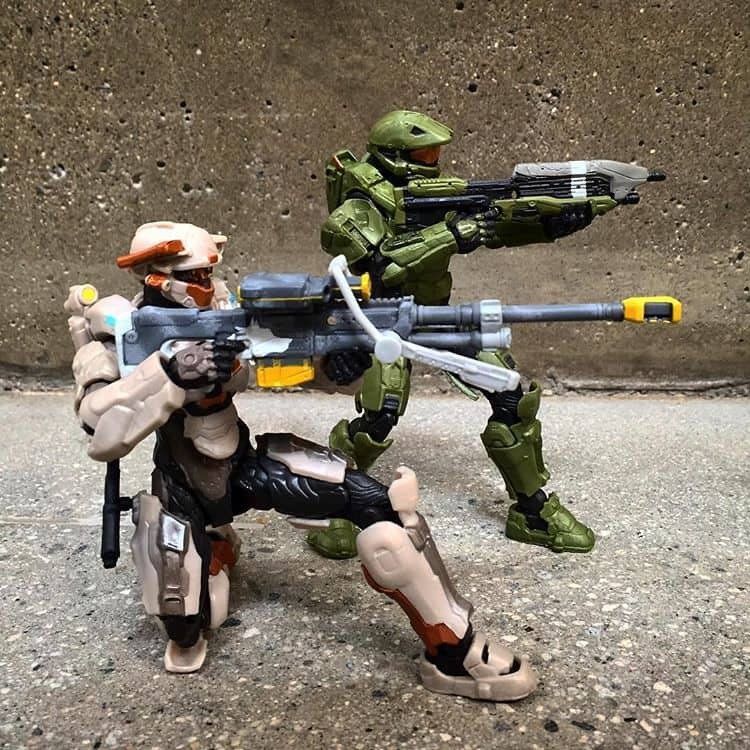 These figures, at their cheap price point of $20 and with 30 points of articulation, are designed to be handled and used to recreate awesome battles from the Halo universe but with the careful detail, they can also be displayed. Spartan Linda has to be the top pick for Mattel (so far) because of her awesome armour design and sleek minimalistic colours. Plus who doesn’t like a sniper? The Sprukit figures from Bandai are a completely unique take on the Halo universe. These figures allow customers to build their own highly detailed and articulated figurines. 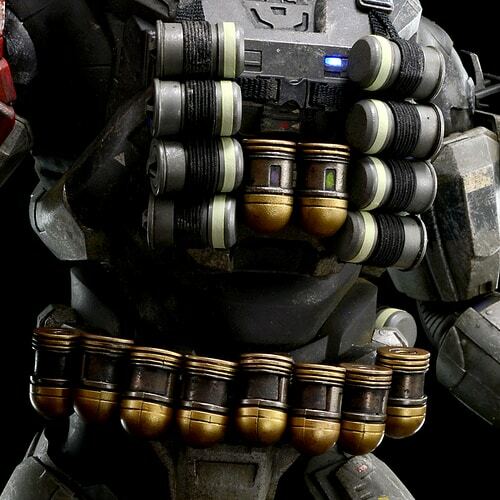 This series comprises only of four Halo 4 action figures which are characterised at different difficulty levels. The levels dictate how complex the build is and how many pieces there are. At Level 2 we have Master Chief, Sarah Palmer and Gabriel Thorne while at Level 3, there is only Master Chief toy thus far. It is a fine line to walk between a model kit and a figurine but Bandai do it perfectly, presenting amazing detail and high quality for a cheap price. Each individual part is well made and strong. Great quality and creates a highly detailed and sturdy figure. Works infinitely well as a model kit/ statue as well as an action figure. If you are going to get any Halo Sprukit you best believe you have to go for Level 3 Master Chief. With 161 pieces and standing at 9” tall, Bandai have boasted that the figure comes with hyper realistic articulation and true to life action hero movement. 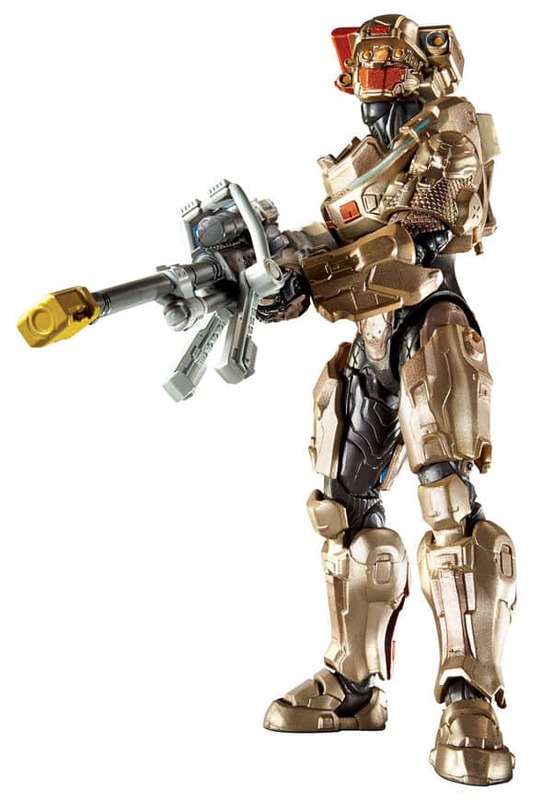 Coming equipped with two of his standard weapons, including his Battle Rifle, this figure is ideal for anyone who wants to build their own part of the Halo story. So you’ve had a look at all the different brands of Halo toy makers and are trying to decide what is best for you. Well it all depends on what you are willing to pay, how you are going to use the figure and how much detail you want. But if you want something that ticks all the boxes then look no further than my favourite Spartan (other than Master Chief of course) : Emile A-259. This figure from Three A comes with a hefty price – around $200 but the price is definitely worth it. First up is the incredible amounts of detail and even though Emile isn’t the most vibrant of Spartans, the colour is incredibly badass. His articulation is amazing, including the standard articulation offered by most action figures but also providing complete articulation in the figures. 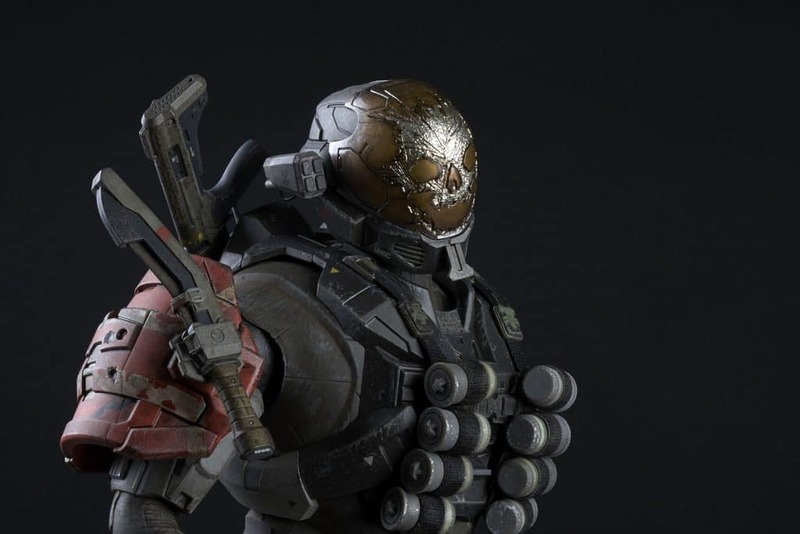 On to his accessories, Emile comes standard with an M45 Tactical Shotgun, removable Kukri Knife with sheath and removable grenade canisters. Coupled with led lights on the removable armour pieces Emile is definitely worth the admittedly steep price. 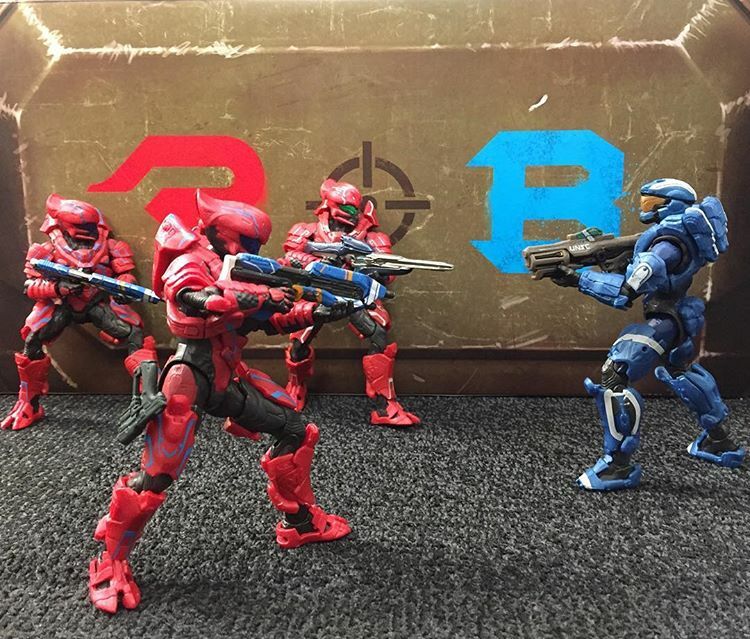 What if you want to re-enact the various battles of the Halo franchise?…putting the action back in action figure as it were. Well I would say look no further than the figures designed by Mattel. Instead of recommending just one, we are going to recommend a whole bunch because they are that good! These Halo Spartan action figures come at the low price of $20 on Mattel’s website and despite their cheap price are of high quality. The details are incredibly well done, complete with battle marks and intricate lines in their armour and weaponry which give them a more authentic feel. These Halo figures are designed to be bright and vibrant to capture the essence of each individual and make them stand out a little more. 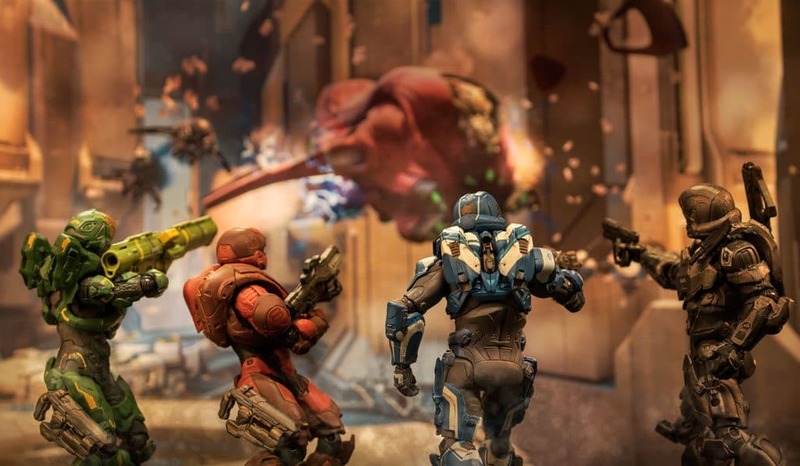 Not only that but Mattel does not have just a single figure in this series, having Spartans and Covenant from all over he Halo franchise giving you plenty of variety. With over 30 points of articulation, swappable weapons and mix-and-match armour pieces, it is no surprise these Halo figures are some of the best in the market currently. Their bright colours mean they would look amazing standing watch on a shelf but make no mistake, these Halo is a game franchise that has been running for almost 17 years and has spawned numerous spin off games, novels, background lore, speculation and of course action figures/toys. Hopefully, this article helped you begin to search for the perfect Halo action figure that will help you bring the game to life in your own unique way…even if Halo Reach figures are clearly the way to go. McFarlane -Began production in March 2008.